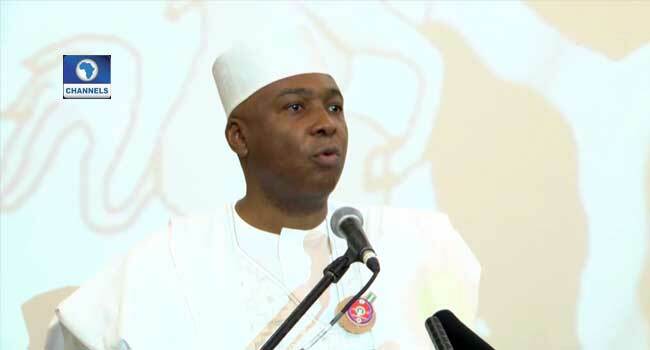 The Senate President, Dr Bukola Saraki, has called for a multi-dimensional approach in managing Nigeria’s economy. Saraki made this call at the Second Capital Market Stakeholders’ Forum in Abuja, the nation’s capital on Monday. While speaking through the Senate’s Minority Whip, Philip Aduda, Saraki admitted that the nation’s economy lies basically on the effectiveness of the capital market. He further commended the Joint Committee on Capital Market and Financial Institutions of the National Assembly for organising the event aimed at reposing the confidence of investors. Saraki added, “The quality of minds at this forum both from the organized private sector and public sphere truly underscores the crucial role of the development and sustenance of the economy. To him, the National Assembly is committed in collaborating with relevant stakeholders in the capital market in charting a new course for the nation’s economy. The Forum comes to learn lessons from the factors that led to Africa’s largest economy slipping into recession two years ago. On August 31, 2016, the National Bureau of Statistics, said that the economy began the second quarter 2016 Gross Domestic Product (GDP) declined by -2.06 per cent. But reacting, the Saraki blamed the economic recession on the decline of crude oil prices, coupled with the poor planning of the government at the time. He also warned that the government must guard against such a reoccurrence by diversifying the nation’s economy rather than rely on crude oil. The Chairman of the National Assembly also reiterated the readiness of the lawmakers to make meaningful laws that would drive the economy.